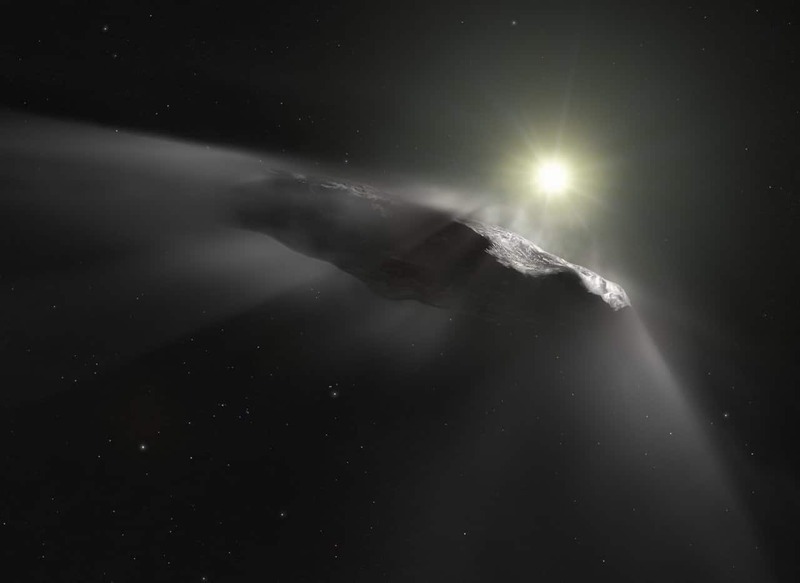 The following October, Avi Loeb, the chair of Harvard’s astronomy department, co-wrote a paper (with a Harvard postdoctoral fellow, Shmuel Bialy) that examined ‘Oumuamua’s “peculiar acceleration” and suggested that the object “may be a fully operational probe sent intentionally to Earth’s vicinity by an alien civilization.” Loeb has long been interested in the search for extraterrestrial life, and he recently made further headlines by suggesting that we might communicate with the civilization that sent the probe. “If these beings are peaceful, we could learn a lot from them,” he told Der Spiegel. When it was discovered, we realized it spins every eight hours, and its brightness changed by at least a factor of ten. The fact that its brightness varies by a factor of ten as it spins means that it is at least ten times longer than it is wide. We don’t have a photo, but, in all the artists’ illustrations that you have seen on the Web, it looks like a cigar. That’s one possibility. But it’s also possible that it’s a pancake-like geometry, and, in fact, that is favored. An advanced technological civilization is a good approximation to God. Suppose you took a cell phone and showed it to a caveperson. The caveperson would say it was a nice rock. The caveperson is used to rocks. So now imagine this object—‘Oumuamua—being the iPhone and us being the cave people. We look at it and say it’s a rock. It’s just an unusual rock. The point of this analogy is that, for a caveperson, the technologies we have today would have been magic. They would have been God-given.